Like the other varieties of Amelanchier we offer, Snowflakes (Amelanchier laevis 'Snowflakes') will make an excellent choice of tree for the small garden. This tree has an ascending form and has the most amazing show of extra large single white flowers, hence its name. This contrasts well with its beautiful copper foliage. As a result, this tree will form a real item of interest in any garden. Expect this tree to reach a final height of around 5m. 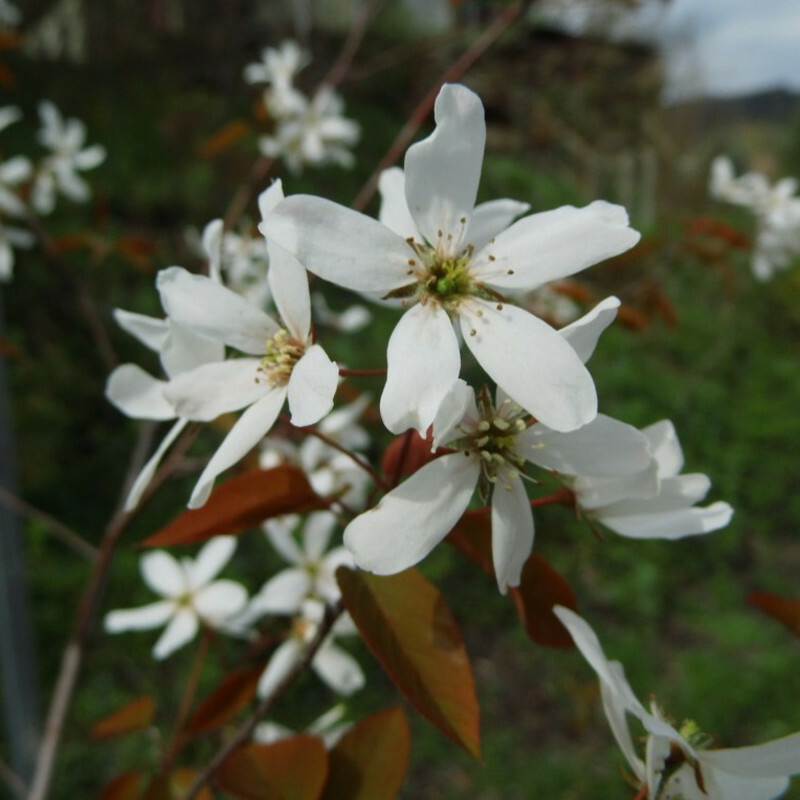 If you would a much taller version of Amelanchier Snowflakes then we suggest planting at the top of a hill or purchasing a large plant pot and learn how to put up scaffolding. Our Amelanchier Snowflakes is supplied at a height of between 150 and 200cm in a 5-12 litre container for year round planting and better results than from bare-root or rootballed stock.